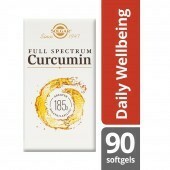 Lamberts MagAsorb is now one of the UK's leading magnesium products, providing 150mg of pure magnesium per tablet. 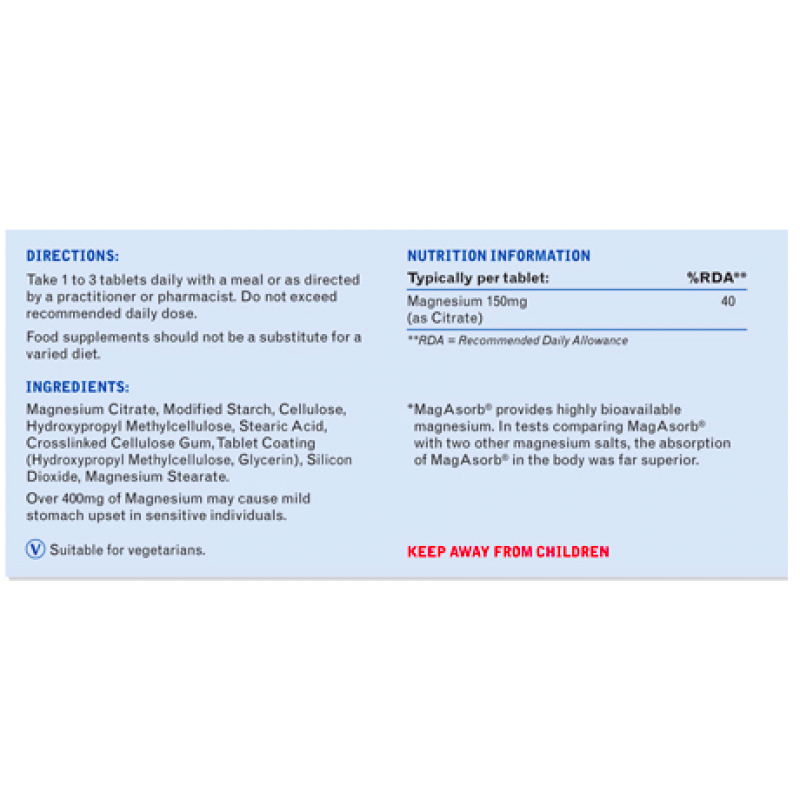 The magnesium in Magasorb is in the highly bioavailable citrate form. 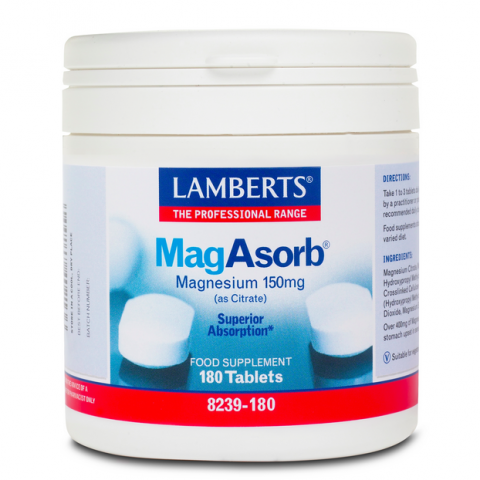 In tests comparing MagAsorb with two other commonly used magnesium compounds, the absorption of MagAsorb in the body was superior.